In a small enterprise, the standard peer to peer networking infrastructure used in on premise or small offices eventually become incapable to suffice the surging needs- such as access to shared storage drive, enhanced control over the server, high availability of the resources and much more. If any of these scenarios tweaks in your mind, it is the time to contemplate about deploying dedicated server hardware. Today, every business needs an embarking presence to reveal their dignity by ensuring the smooth performance of their website on the World Wide Web. It is important to consider that optimizing your websites and applications has an enormous impact on the latency experienced by the user. However, the hosting infrastructure decisions and server configurations (including both software and hardware) can also dramatically reduce the latency without compromising the application features and designing efforts in a website. 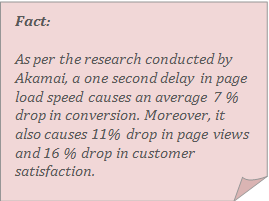 When it comes to latency in hosting, it is about loading a page in fraction of seconds. Minimizing the latency is mission critical, if you are seeking high performance to maximize the throughput of your business. Analyzing the latency of your website is important to achieve economy of scale, and it entirely depends on the hosting infrastructure. That is why a dedicated server hosting is the far better solution to improve your website performance. For many website owners, one of the major benefits associated with dedicated hosting is that it allows optimum control over the hosting server. When a server is shared between several businesses, the web host cannot allow them to access certain configurations and doesn't provide the enough bandwidth. However, when the server is used solely by your business website, then you will have comprehensive control over the server. It provides businesses with much more flexibility to handle the computing resources. It implies that websites with a heavy influx of traffic, or those requiring large amounts of bandwidth rich in video content and high resolution graphics and need more control over their server can maintain a faster loading speed with dedicated server hosting services. To address the transcendent needs of growing business base, it is essential to nurture the business productivity with flexible and reliable hosting infrastructure. With root control and reduced latency, choosing a dedicated server is the right option for your business growth.